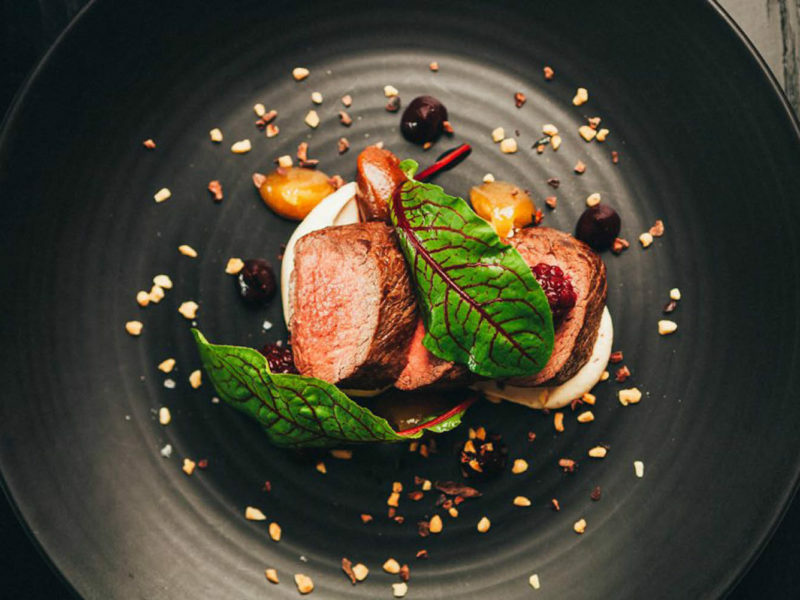 Reserve a table at Botswana Butchery for a night of fine dining at its best. There’s more to New Zealand’s adventure capital than just adrenaline. Surrounded by striking mountains on one side and a serene deep, blue lake on the other, Queenstown has got to be one of New Zealand’s most beautiful cities. And while most tourists visit to raise their heart rate on the slopes, with around 150 bars and cafes in the Queenstown region, there’s a pretty impressive foodie scene to be explored as well. What better way to start the day than with a hot, locally brewed coffee at The Bathhouse (38 Marine Parade). This cute wooden building overlooks the beach with spectacular views of the lake and lots of deck chairs outside, and it serves up a mean breakfast as well. The Bathouse Special Breakfast is recommended. If you like it, come back at lunch and try its famous seafood chowder with a local beer. For breakfast or lunch with a view, you can’t go past Ivy & Lola Kitchen and Bar. Ivy & Lola’s Kitchen and Bar (88 Beach Street) on the Queenstown Pier is a little more formal, but still offers uninterrupted views of the lake. Although the menu does change, and is a little eclectic, dishes like the Southern fried chicken ‘n’ waffles with jalapeño chutney, bacon and maple syrup keeps regulars coming back for more. Stop for a coffee and a sweet treat at VuDu Cafe & Larder. If you’re about to hop on a ferry or head up to the snow, the busy VuDu Cafe & Larder (16 Rees Street) in the centre of town serves up great coffee and pastries. It also does a fantastic eggs benedict and if you want to break the breakfast rules, the carrot cake is ridiculously tasty. You may have heard of the famous Fergburger (42 Shotover Street) – make sure you try its namesake burger – but did you know the team behind it also offers golden baked pies and crispy pastries at Fergbaker and the delicious gelato at Mrs Ferg as well? You’ll find both of them next door to Fergburger, just follow the smells (and the lines). For a quick bite between bungee jumps, Winnie’s Pizza (7–9 The Mall) is right in the centre of town. Choose a table outside so you can people watch and make sure you order the cheesy garlic bread to start. It’s addictive. The thin and crispy wood-fired pizzas that are served up here come dripping with toppings and they make for a filling lunch. Not a pizza person? Try their ribs or spaghetti bolognaise. Have a relaxing cellar door lunch at Akarua Wines and Kitchen by Artisan just outside of Queenstown. If you’re looking for a more rustic lunch with views, Akarua Wines & Kitchen by Artisan (265 Arrowtown-Lake Hayes Road) is a relaxing cellar door just outside of Queenstown. Featuring its Central Otago wines and local produce, the cafe is set in a garden courtyard sheltered from the summer sun. It’s a short drive away from the busy Queenstown streets and can offer a little relief from the crowds. The Lodge is the place to go for seafood, cocktails and beer. Start the evening with a cocktail or crisp beer at The Lodge Bar (2 Rees Street). A good choice is the Sage Advice cocktails – sage-infused tequila, blackberry purée and lime juice – drunk at the bar, on a booth or near the big, inviting double windows. If you get peckish, order the oysters, clams or prawns and enjoy fresh seafood over looking the lake. You can’t leave Queenstown before you enjoy a meal at Rātā. One of Queenstown’s most impressive restaurants is the elegant Rātā (43 Ballarat Street), opened by Michelin-starred chef Josh Emett and local restaurateur Fleur Caulton. 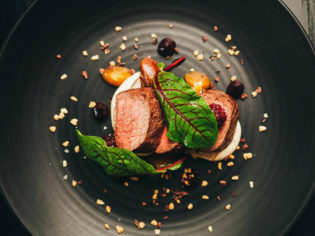 With rich slow-cooked dishes, such as beef rib with parmesan gnocchi and buttered leek, to suit Queenstown’s cooler climate, there’s a reason this intimate venue is so popular. Enjoy your meal at the bar, in the formal restaurant or outside in the sunny courtyard. Warm up with any of hearty, slow-cooked meals on the menu at Rātā. Enjoy an exquisite meal beside a roaring log fire at Botswana Butchery. To celebrate a special night, book a table at the Botswana Butchery (17 Marine Parade), in the pretty little historic Archer’s Cottage. Despite the name, under Hong Kong-born head chef Vicky Wong you’ll find dishes such as Singapore soft shell crab and Botswana Peking Duck. It’s not cheap but the quality of the food is worth the coin. A night in at The Bunker is well worth the effort it takes to find it. For a post-dinner nightcap, head to the hard-to-find speakeasy, The Bunker (14 Cow Lane). Although it also serves dinner with paired wines in its restaurant, this hidden bar is the place to be for a late-night pinot noir or single malt. Don’t be fooled by the uneventful laneway you’ll find it in, this little Queenstown gem is atmospheric, welcoming and cosy on cool, New Zealand nights. Planning a trip to Queenstown? Read our New Zealand guide to find out everything the country has to offer before you go.